Here is another cool optical illusion picture. Check out the image below, what do you see? 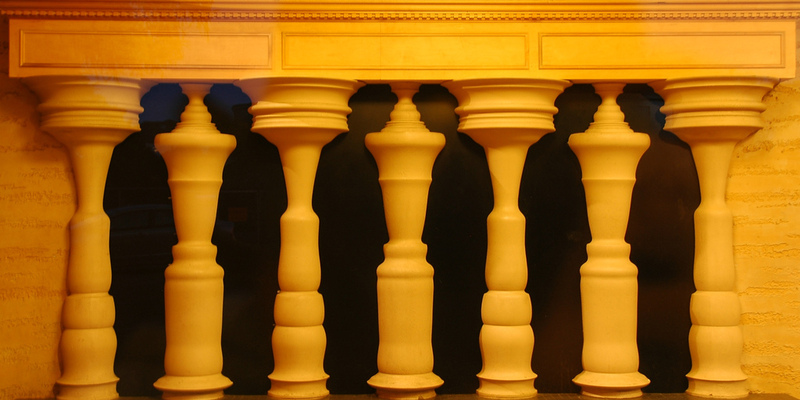 Just a set of normal columns, or are there people? If you know of more super cool pics such as this send them into us via the magic of email and we will get them up on the website if we think others will like it. Thanks for your visit to this page today. Check out the categories on the right for even more. Credit goes to flickr / tinou. Thanks for letting this be used under creative commons, other people can use it to under the free license.